High level technical-specialised translations, in line with your expectations for any language combination. technical translations, legal translations, medical and scientific translations, economic and financial translations, specific translations for the automotive sector. Legal documents, financial statements, use and maintenance handbooks. Each job is assigned to the professional translator with specific skills and experience in the sector. Your website is often your company’s first contact with the rest of the world and the texts it contains must be perfectly suited to the target audience. 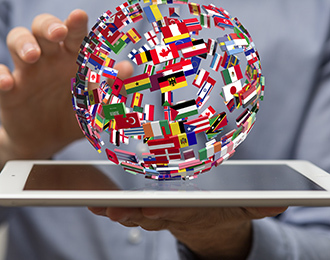 Never settle for a rough translation: we can help you convert the content of your pages into the languages you want with professional translation website. Using specific management software for the translation field to manage and coordinate the work of translators and proof-readers. Using specific technical glossaries for each sector, even online ones. CAT tools, which help you to work with efficient procedures, improving precision and speed, even on complex jobs. Cloud area with private FTP access, to transfer large files seamlessly and safely.